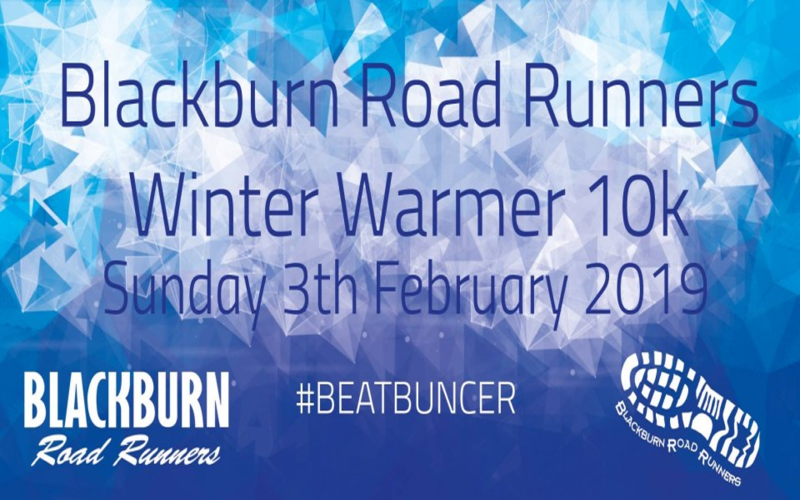 Blackburn Road Runners are asking for people to join their 100 strong team of volunteer marshals to line the route of the ‘Winter Warmer’ and help ensure the event further grows its reputation as being one of the friendliest around. There are lots of viewing points or ‘cheer stations’ along the route which takes in some of the town’s most picturesque scenery and ends at the Witton Park Arena. There is also a 2k race for children aged 5-15. Blackburn MP Kate Hollern is officially opening the event, which is now full with 800 runners signed up and just a few places kept for entries on the day. There is space for 300 children, with some schools coming down with teams. Children can sign up on the day for the Kids Race which starts at 10am. There is always a great community feel to this race and it’s well worth coming down to support the runners. We have the infamous Buncer Lane as part of the route so it’s great to watch. This year we have a DJ playing music that has been requested by runners and there is a charity cake stall which is always popular. We have a real mixture of people running ranging from seasoned runners to people raising money for good causes or taking part in personal challenges. The route starts on Witton Park track goes out behind the pavilion and up the hill to Witton Park School car park out onto Buncer Lane, along Billinge Ave and Assheton Rd and back onto Buncer lane, left at the top onto Billinge End Road. Then downhill passing The Clog and Billycock Pub in the left hand side. Rising up towards Pleasington then left turn at before The Priory and along the pathway towards the Duck Pond . Right at the duck pond down Cemetery Road. Left at the bridge and follow the river path back past the Tower Road car park and AstroTurf pitches. A final swing left over the bridge and following the main park road back round the rear of the pavilion and into the track. One and a half loops of the track to finish!